Elections in India often inspire a festive fervor amongst the masses; surely they call it the dance of democracy, unending & eternal in a nation that prides itself in the vibrant democratic institution it has continually upheld for the past seven decades. Home of 29 states & 7 Union territories implies, elections turn a perennial exercise here. Often credited as a nation that has developed an all-inclusive version of democracy in a region plagued by political instability speaking volumes of India’s commitment to the democratic institution. But, for the people of Jharkhand, destiny is a callous mother, ask a Jharkhandi & he’ll have a plethora of dismal reasons. 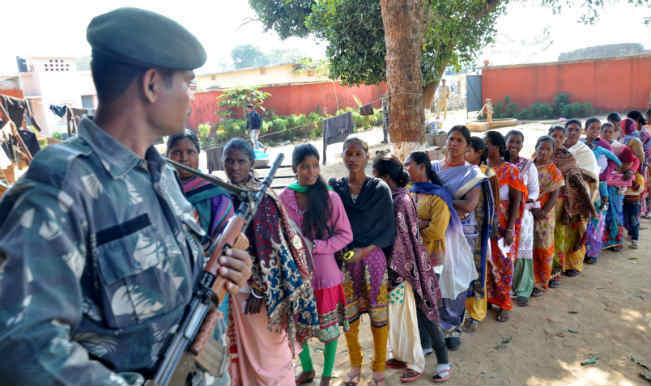 The state of Jharkhand(formerly south Bihar), was carved out of Bihar on 15th November,2000 after an arduously long ‘Jharkhand mukti’ movement that began in 1920’s but, could gain momentum only after the formation of JMM(Jharkhand Mukti Morcha) lead by charismatic tribal leader, Shibu Soren. Drawing inspirations from famous revolts against the British Raj, like the Kol rebellion, Santhal Revolt & the Birsa Munda struggle, political entities began to echo vociferously for greater autonomy for this improvised region. The general resentment had always been that Bihar was the biggest beneficiary of Jharkhand’s abundant mineral reserves (accounting 40% of India’s total known reserves), whereas the genuine grievances of triblas met the deaf ears of governments both at Patna & Delhi. Soon, disgruntled villagers inspired by Moist movements in neighboring W. Bengal began to take arms against the government. This sowed the seed of Naxalism which continues to be the most grievous threat in larger parts of the state, Maoist run parallel governments are rampant across multiple towns particularly in the tribal belt; scant development in such areas has effectively turned them into Maoist hotspots. This has unleashed a vicious cycle of under development as popular schemes can barely be implemented in zones of political unrest rendering them even more vulnerable to Naxals & their ideologies (blowing of schools, demanding levy from industrial establishments often populates the front page of leading news dailies). Finally, the long struggle for autonomy did bore fruits, & South Bihar became the 28th state of the Union. Often we do see in life that the bubble of utopian dreams is transitory, much the same did occur with the state of Jharkhand. In the succeeding decade, incessant political rift between tribal & non- tribals, collation politics marred with internal power strife led to formation of 9 governments in a span of 14 years. This was nothing but, an ordeal, for those who saw the dreams of prosperity & stability, succeeding governments ruined their faith in democracy. On one hand the state became a laggard in almost all development parameters ( the per capita income stands at a grim, Rs.29,786, as in 2011) but, the likes of ‘Kodas’ (Mr. Madhu Koda, former CM of Jharkhand) became obnoxiously rich, Mr. Koda, amassed a personal fortune of Rs.144 crores through illegal mining scam that was in upward of Rs.3400 crores( was arrested on 30th Nov,2009 by state agencies & is being tried by a special money laundering court of Delhi). On the contrary, poverty continues to be a menace with BPL population hovering at around 40% of total (source: UNICEF India) with high child undernourishment & anemia amongst women being some of the greatest challenges whereas, industrial hubs of Ranchi, Jamshedpur & Dhanbad (the coal capital of India) continue to flourish with little trickling down to the masses. A pattern reminiscent of rest of the nation, where the chasm between classes continues to grow. The same if remains unaddressed may endanger the existing order altogether. People shall once again vote, hoping (for hope is the ultimate remedy in times of gloom) but, probably with an onus of broken promises of a utopia that was never meant to be.